How can I unsubscribe a customer? Usually the easiest way to unsubscribe a customer is if they reply back to the email asking you to unsubscribe them, you can just look for the unsubscribe link in the footer of their email and click on it. If for some reason that's not possible, here's what you can do. First, you may want to search for them in the unsubscribes to see whether they're already unsubscribed. If they are already unsubscribed and are asking to be unsubscribed, it may be that they've unsubscribed under the wrong email or something - so you may want to double check with them. 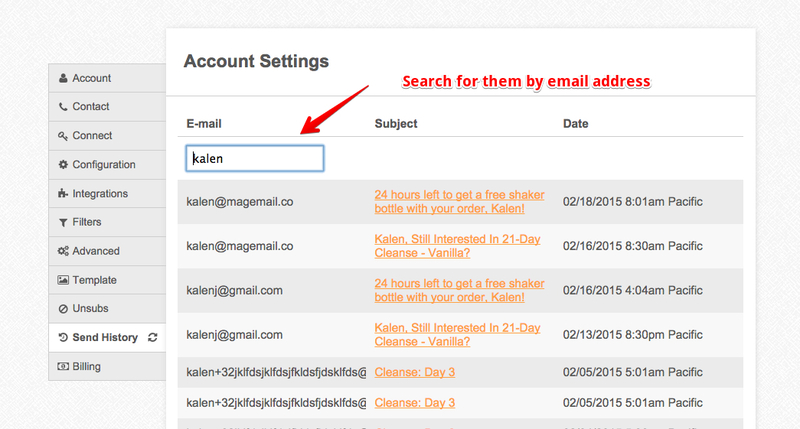 Once you find that email, go ahead and click on it, and that will open the full contents of the email. 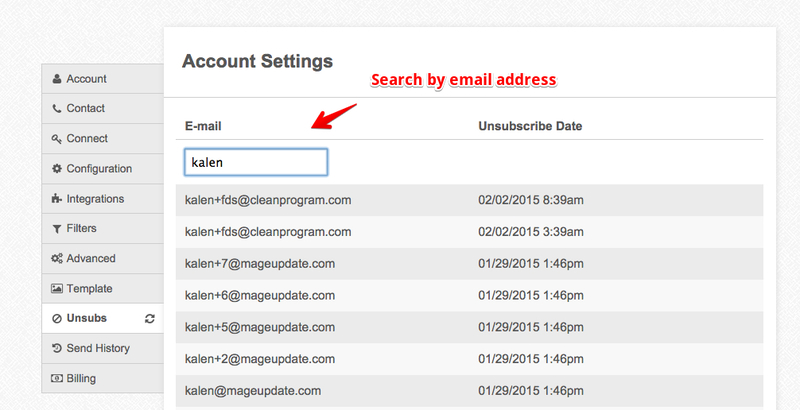 Then click on the unsubscribe link in the footer. If they've never actually received any email from MageMail yet but still want to be unsubscribed, you can email hello@magemail.co and we'll take care of it for you.